ClosetMaid 3-Cube Storage Bench Just $46.42! Down From $70! PLUS FREE Shipping! You are here: Home / Great Deals / Amazon Deals / ClosetMaid 3-Cube Storage Bench Just $46.42! Down From $70! PLUS FREE Shipping! Amazon is currently offering this ClosetMaid 3-Cube Storage Bench for just $46.42 down from $69.99 PLUS FREE shipping! Cubeicals three Cube Storage Bench includes all of the necessary pieces that you need to organize your space. It includes all of the hardware for an easy assembly. All you need is a space to place it and the tools listed to the right. 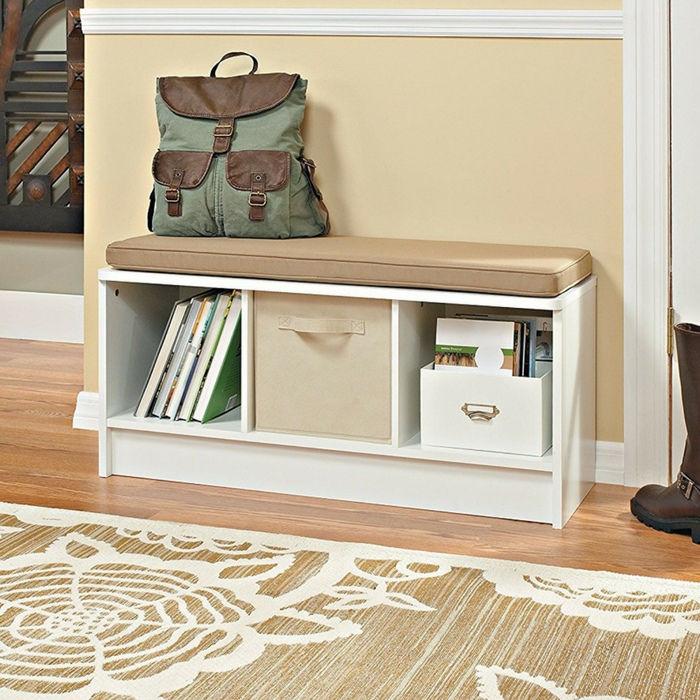 Organize your entryway or mudroom with the white Closet Maid 3-cube bench. Its cubbies are designed to hold Closet Maid fabric drawers (not included) to provide storage for shoes, hats and other things you might want to keep by the doorway.